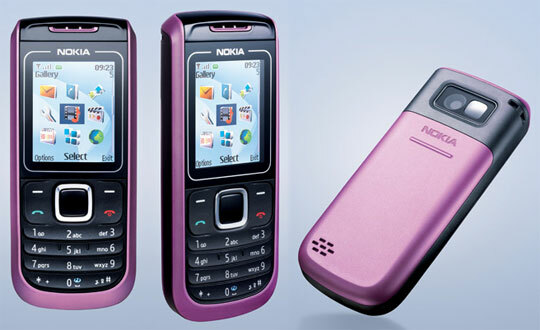 Tag Archive | "Nokia 1680"
Nokia 1680 is an elegantly designed handset by Nokia. It comes with various user friendly features. This wonderful mobile set is available in four different color casing namely black, gray, plum and wine red. The 108 x 46 x 15 mm dimension of the handset gives it a solid and durable look. You will feel really nice and proud holding this powerful yet extremely light weight gadget in your hands. This cheap mobile has everything that the customers want their most. It has 32 megabytes of flash memory along with 4 megabytes of SD RAM memory. You can store up to 1000 phone books entries in the contact lists and hence all your friends and social contacts can be accommodated there. This wonderful handset is GPRS enabled hence it provides the users high speed transfers of data through this technology. You can access the internet through in-built web browser while you are travelling. Hence you can keep touch with your office colleagues and friends and relatives if you are carrying this handset when you have gone for a business trip. You can even conduct small business meetings in the form of chat as these mobile phones offer high internet connectivity. This stylish looking handset will be your ideal possession if you enjoy photography. You can even capture still photographs with the mobile camera with VGA, 640×480 pixels. You can capture the important emotional moments of your life in this sleek gadget and later you can share it with your family and friends. You will also enjoy seeing those moments in the wonderful screen. The display is so nice that these pictures will give you a lively feeling when you see them later on. The measure of the display is 1.75 inches and it can support 64,000 colors and its resolution is 160×120 pixels. The handset is also quite compact one as it measures around 4.26 inches by 1.81 inches by 0.59 inches. Another unique thing of the handset is that it is very light in weight and weighs around 2.6 ounces. The menus are icon based and are quite simple and easy to use. Hence the user will not face any difficulty in using this wonderful handset. If you do not like the font size and color, you can change it as per your liking. There is a square toggle which can be used as a shortcut to user defined functions.